I’m a big Alice’s Adventures in Wonderland fan. I bought the nice, hardcover copy at Barnes and Noble on Sunset Point, and I quote it whenever I can. So, as you might expect, I saw the 2010 CGI movie by Tim Burton. And… I liked it well enough. It was interesting to see various aspects of Wonderland (oh, I’m sorry: Underland) in Tim Burton’s usual style. Over time, though, I forgot about the film. It faded from my mind. Like a lot of middle of the road movies do. But, six years later, it’s back again. With the title of the second book. I haven’t seen the new movie, by the way. So I don’t know how accurate it all is. But I do know that despite all the panning from the critics for the last one, Alice has always been a big draw for people. For some proof of that, simply go to the Hot Topic in Countryside Mall. And it tells you a lot about the marketing power of this property. It really is a classic, legendary book. And people wanting to make spin-offs is understandable. In fact, no one ever stopped. Before people were bemoaning the avalanche of remakes and reboots and other “re” words, Alice had as many versions as perhaps even A Christmas Carol. It’s just that powerful. 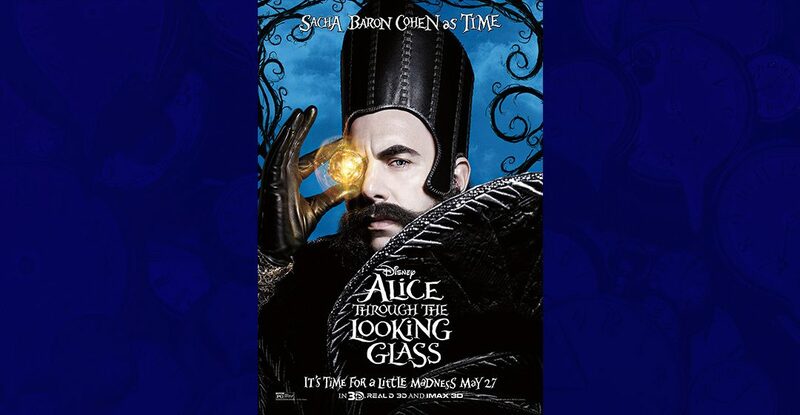 And in an uncharacteristic act on my part–I am here to tell you that even if the film isn’t all that good: Alice Through the Looking Glass is not a movie to point at and accuse of being part of the problem. It’s always being remade. And I look forward to seeing what a new person will do with it once Burton’s done. Who knows? Maybe Disney will do another live action adaptation of it, this time closer to the book? I won’t hazard a guess, but whatever comes next will be curiouser and curiouser, and completely mad.